FRANKLIN TWP. 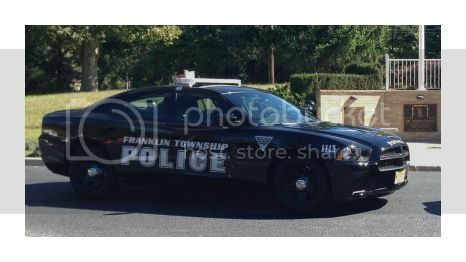 — Franklin Township police officers disarmed a man who was trying to cut his own throat Saturday afternoon. At about 12:22 p.m., officers were dispatched to the unit block of Rita Fiola Lane in the Iona Trailer Park when a woman conducting a survey saw the resident there bleeding from the neck and arms, police said. Sgt. Gordon Muller, Cpl. Michael Marsh and Officer Jeffrey McGuigan arrived, but the man ran into his residence and locked the door, said police. Communication was established but the man refused to come out, police said. Officers looking through a window could see the man’s neck and arm lacerations. A relative who came to the scene was unable to convince the man to come out. While speaking to the officers, the man began to cut his neck with a box-cutter, said police. Officers grabbed his arm through an open window and disarmed him while others forced their way into the residence, police said. The man, whose name was not released by police, was sent to Kennedy University Hospital for a crisis evaluation, said police.